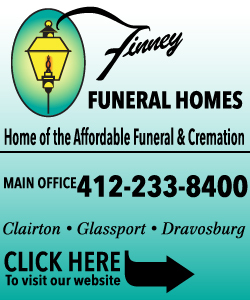 Nancy Louise Hurley, age 83, of McKeesport, died February 4, 2019. Born May 12, 1935, in McKeesport, she was the daughter of the late Harold and Mary Virginia (Satterfield) Dudley and the wife of John Thomas "Tom" Hurley. "Daniel T. Tomko" || "Alease Wallace Paige"